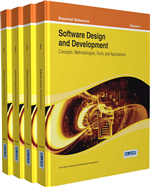 Much of the existing literature on domain-specific modeling languages (DSMLs) focuses on either the DSML design and their use in developing complex software systems (e.g., in enterprise and web applications), or their use in physical systems (e.g., process control). With increasing focus on research and development of cyber-physical systems (CPS) such as autonomous automotive systems and process control systems, which are systems that tightly integrate cyber and physical artifacts, it becomes important to understand the need for and the roles played by DSMLs for such systems. One use of DSMLs for CPS systems is in the analysis and verification of different properties of the system. Many questions arise in this context: How are the cyber and physical artifacts represented in DSMLs? How can these DSMLs be used in analysis? This book chapter addresses these questions through a case study of reconfigurable conveyor systems used as a representative example. CPS are an emergent class of complex, distributed real-time and embedded systems gaining prominence in several application domains including intelligent transportation systems, automated warehouse management systems, advanced manufacturing systems, smart grids, and smart buildings, among others. These systems illustrate the tight integration of cyber artifacts, such as computing, communication and storage, with monitoring and control of physical objects in a reliable, secure and timely fashion. Emerging CPS applications will be significantly complex than today’s embedded systems. It is expected that in future people will interact with these engineered systems in very much the same way as they do with information systems using the Internet. In the USA, the National Science Foundation is at the forefront to support research and development in CPS. One of the key issues for which research is sought is in the core science required to build these systems. One of the issues that complicates CPS is the presence of both continuous and discrete system dynamics in the context of open and emergent environments. Model-driven Engineering (MDE) plays a vital role in the design and development of CPS. DSMLs can capture the cyber and physical artifacts of the CPS domain, provide the mechanisms to capture the discrete and continuous dynamics of the system, and provide abstractions that are critical to realize CPS that are “correct-by-construction”. Although these benefits of DSMLs are well-known, most prior work on DSMLs focuses on designing DSMLs that cater either to the physical or the cyber concepts in isolation but seldom integrate these in a way envisioned by CPS. Consequently, the integration of the two views in a holistic manner is hard, and requires complex mappings between the two for which automated transformations are needed but seldom exist. In this paper we focus on a case study from the domain of reconfigurable conveyor systems (RCS) and articulate the ideas behind designing DSMLs for CPS. RCS are akin to Lego pieces wherein a desired layout of a conveyor system can be realized by simply connecting the appropriate building blocks. Realizing this vision of RCS is easier said than done. The intertwined relationships between the cyber-physical elements, e.g., the logic embedded in individual micro-controllers of RCS that regulate the behavior of each physical unit, the wireless transceivers that provide communication links and protocols for messaging and coordination between micro-controllers in physically adjacent units, and the logic that processes sensor inputs for the physical transfer parts between the conveyor units present formidable challenges in finding answers to a number of design and operational issues. For example, a conveyor designer may want to understand if a particular layout will maximize the throughput of the system without actually having to deploy and test the system. Other questions could include understanding the resilience of the layout to one or more failures. Answering the questions faced by the engineers and layout planners requires DSML support that can in tandem account for both the physical artifacts of a conveyor system (e.g., speed of belts, inter-material spacing, size and type of the material being handled, response time of commands to control belt motor speeds, rate of flow of material into the input source of the system, and sensors that scan moving goods) and cyber artifacts (e.g., message formats and signaling protocols between the individual units of the reconfigurable system, timing of the messages, and synchronization policies among the highly concurrent executing software artifacts) (Lee, 2008, 2009). Many questions arise in this context of DSML for CPS (Karsai & Sztipanovits, 2008): Do the cyber and physical artifacts have separate DSMLs? If so, how are these integrated to represent the reality? How can these DSMLs be used in system analysis and code synthesis?